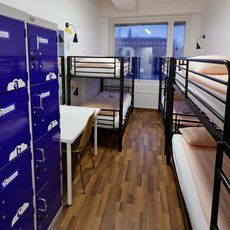 Slightly smaller than the 18-bed dormitories, our 16-bed dormitories offer a great solution for larger groups or travelers looking for reasonably priced accommodation. 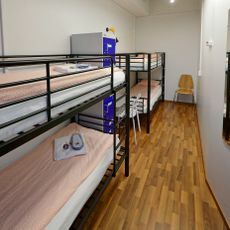 Middle of the road, our 18 bed dormitory is a solid choice for guests looking for standard, clean dormitory accommodation. Joining us for a stay long or short? Either way our 18 bed dorms will do the trick. For female travellers we offer beds in a separate 18-bed dormitory for women only. 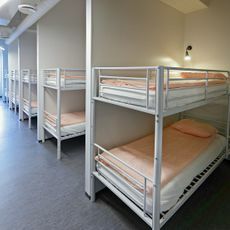 It is identical with some of our other 18-bed dormitories with the only difference being that this dormitory is reserved for women. 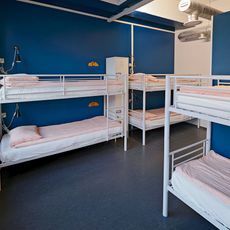 Perfect for large groups, or budget travellers passing through, our 24-bed dorm is one of our largest and cheapest dormitories. It offers the essentials for getting a well-deserved night’s sleep on the road at our most reasonable price. 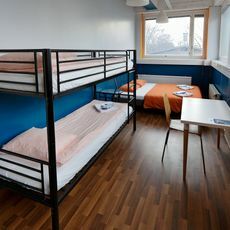 Perfect for large groups, or budget travellers passing through, our 26-bed dorm is our largest and cheapest dormitory. It offers the essentials for getting a well-deserved night’s sleep on the road at our most reasonable price. 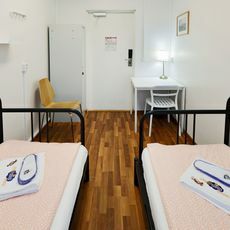 Our smallest dorm room, the 4-bed dorm is well-suited for small sized groups travelling together, or individual travellers looking for a more privacy than in our larger dorms. 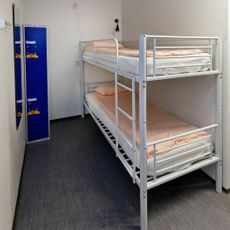 One of our smallest dormitories, the 6-bed dorm is well-suited for small to medium sized groups travelling together, or individual travellers looking for a bit more privacy than in our larger dorms. 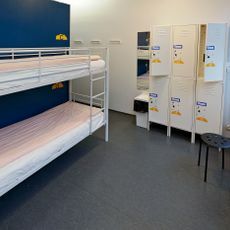 One of our smallest dormitories, the 8-bed dorm is well-suited for small to medium sized groups travelling together, or individual travellers looking for a bit more privacy than in our larger dorms. Our double rooms are designed to offer a private experience at a reasonable price. Get a good night's sleep on the road with your own private room. 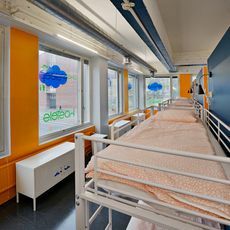 For travellers, business, or longer-term guests, our Double En-Suite Room offers the most premium accommodations available at CheapSleep Hostels. 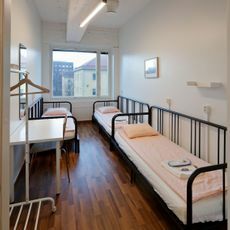 The spacious room is located at the back of the building, overlooking Helsinki’s historic wood housing district of Vallila. 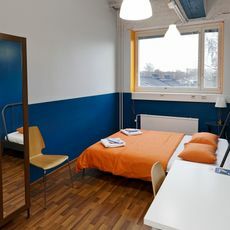 Our family rooms are designed to offer a private experience at a reasonable price for family or a group of up to 4 people. Get a good night's sleep on the road with your own room. Our triple rooms are designed to offer a private experience at a reasonable price. The room has 3 single beds. Get a good night's sleep on the road with your own private room. 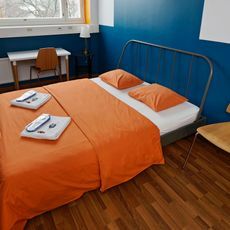 Our twin rooms are designed to offer a private experience at a reasonable price. The room has two single beds. Get a good night's sleep on the road with your own private room.